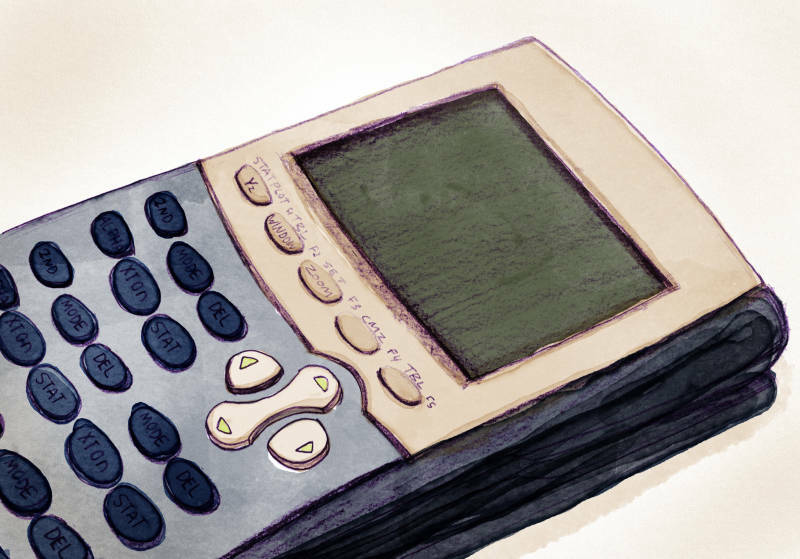 Does Algebra Get in the Way of Student Success? Hear that change jingling in my pocket? Good. I have two little questions for you. I have a quarter, a dime and a nickel. How much money DO I have? I have three coins. How much money COULD I have? The first question is a basic arithmetic problem with one and only one right answer. You might find it on a multiple-choice test. The second is an open-ended question with a number of different possible correct answers. It would lend itself to a wide-ranging debate over the details: Are these all American coins? Are any of them counterfeit? Do you have any bills? Frankly, it's a lot more interesting than the first. Andrew Hacker is professor emeritus of political science at Queens College, City University of New York, and the author of several more-or-less contrarian books about education, some of them bestsellers. His latest is called The Math Myth: And Other STEM Delusions. It poses many nagging, open-ended questions like the second example above, without a lot of neat, tied-up-with-a-bow answers like No. 1. Hacker's central argument is that advanced mathematics requirements, like algebra, trigonometry and calculus, are "a harsh and senseless hurdle" keeping far too many Americans from completing their educations and leading productive lives. He also maintains that there is no proof for a STEM shortage or a skills gap; and that we should pursue "numeracy" in education rather than mathematics knowledge. And, furthermore, that we should teach numeracy in an active, engaged, social way, with more questions like No. 2. How do you define numeracy? Being agile with numbers. Regarding numbers as a second language. Reading a corporate report or a federal budget. This is not rocket science--it's easy to do. Kids become numerate up through 5th or 6th grade. And what is the difference between numeracy and mathematics? There's a firm line between arithmetic and mathematics. When we talk of quantitative skills, 97 percent of that is arithmetic. Mathematics is what starts in middle school or high school, with geometry, algebra, trigonometry, precalculus and calculus. Why are Americans apparently so bad at teaching and learning math? When I say most of it is badly taught, what I really mean is that most teachers just can't really rouse enthusiasm for math among 90 percent of the students. Surely you've had such teachers. No comment. But lots of people have raised the alarm about this. Why isn't the solution just to have math teachers, and students, work harder and do a better job? I'm saying: No, we don't need that many people studying mathematics. We're shooting ourselves in the foot. One in five people don't graduate high school — this is one of the worst records of developed countries. And the chief academic reason is that they fail algebra — of course there are other nonacademic reasons, like prison and pregnancies. In our community colleges, 80 percent don't get a college degree. The chief reason is that 70 percent fail remedial math. And even in our four-year colleges, 40 percent don't get B.A.s [after 6 years]. And the biggest reason is they fail freshman math. We're killing our kids. We're destroying their futures because of this requirement. I think it's outrageous and we're doing a lot of harm. But what's the alternative? Simply dumbing down the curriculum so everyone can pass? When I first wrote the article "Is Algebra Necessary?" in the New York Times, most of the letters I got were from people who love math, are good at math and believe everybody should have to do it whether they like it or not. And again and again they talk about how mathematics teaches rigor, it's tough. There's this whole discipline thing. It's like as if math is an enforced number of pushups. I'm not anti-math. It's a grand human achievement up there with chess and crossword puzzles. But you don't want everyone to have to master chess to get a high school diploma. I'm going to be very careful about what Andrew Hacker wants to be compulsory. What I would like is for math teachers starting in high school to make the subject so fascinating that kids will want to take it. In writing the book, I went out and sat in on two dozen math classes from Virginia to Michigan to Mississippi. In some of them — not too many — the teachers were so infectiously enthusiastic that the kids joined in. And I wish we could bottle what they do and spread it around. What about the need for more people with STEM skills? Well, we certainly need people who know how to do coding. When it comes to engineers, according to the Bureau of Labor Statistics, we're producing all the engineers we need. The skills shortage is a myth. The chief shortage is getting people who will work for low wages. That's why companies in California want to bring people in on H-1B visas who will live eight in a room and do coding for a small amount above minimum wage. What impact do you think the Common Core State Standards are having on math learning and teaching? They're expecting everybody to get almost up to the SAT level in high school. Either there's going to be massive failures, or the states will ratchet down the requirements. You taught your own alternative numeracy course at Queens College designed to make students more agile with numbers. How did you make the topic more appealing? I had 19 students. I broke them up in groups of three or four. Math is always highly individualized, but in the world of work we want people to work in teams. I'd give them exercises, like, 'How would you decimalize time?' It's really cumbersome the way we do it — we have a 60-minute hour, a 24-hour day, a seven-day week. How would you make a 10-day week or a 10-month year? Six different teams can come up with six different answers to that question.